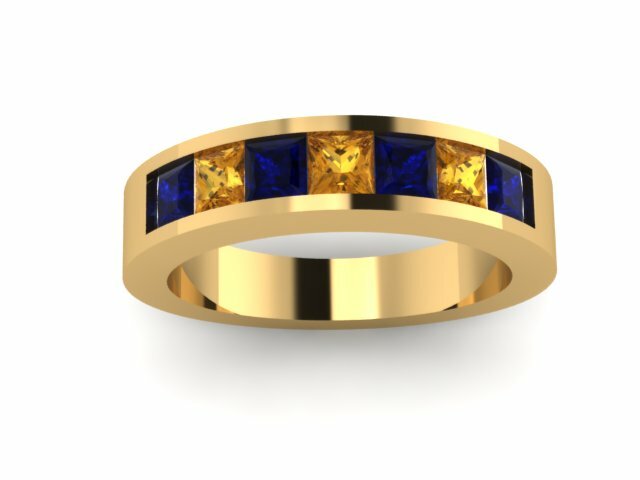 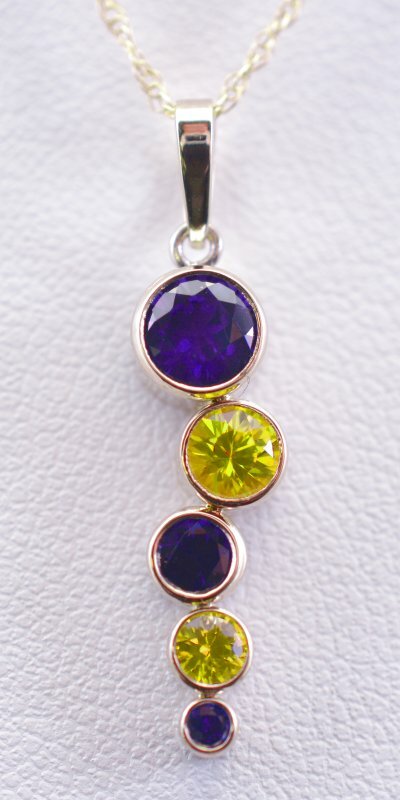 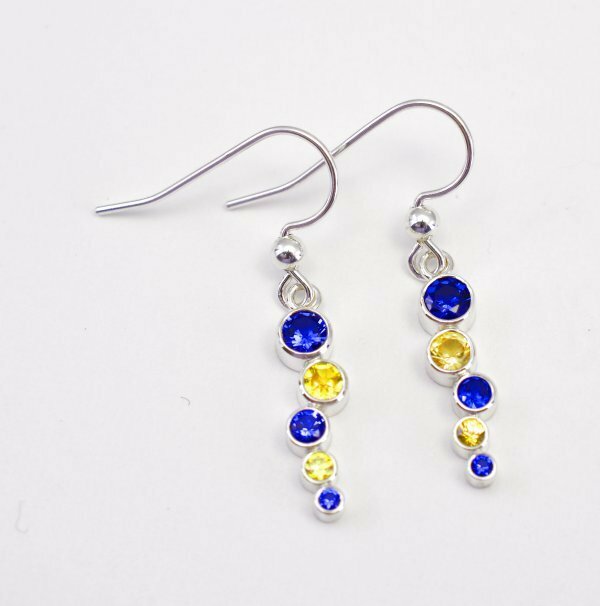 Fine jewelry for fan who wants to show school spirit long after then end of the tailgate. 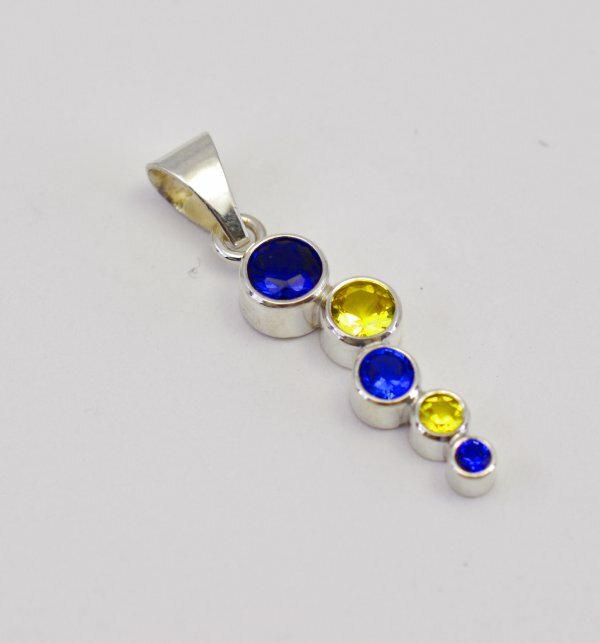 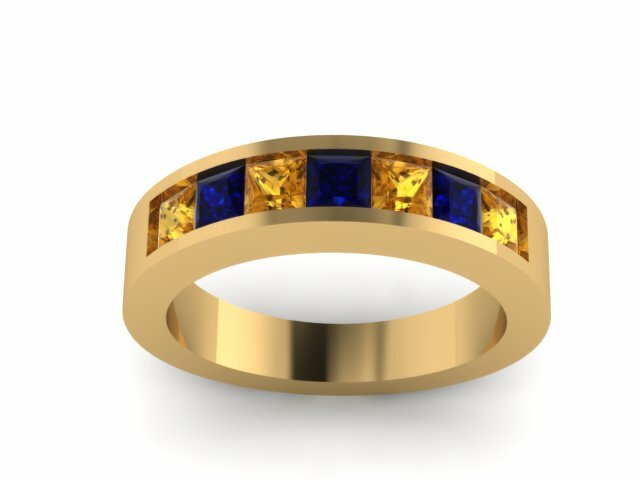 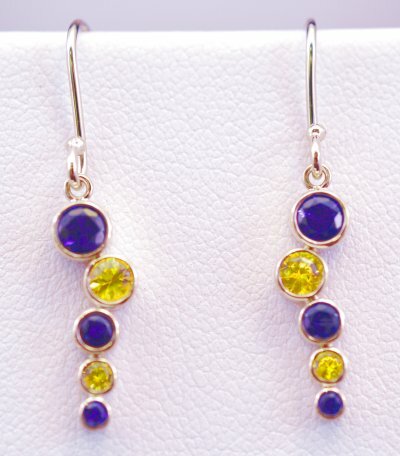 Finely crafted designs in classic school colors in both sterling silver and gold, imitation gems and fine genuine gems. 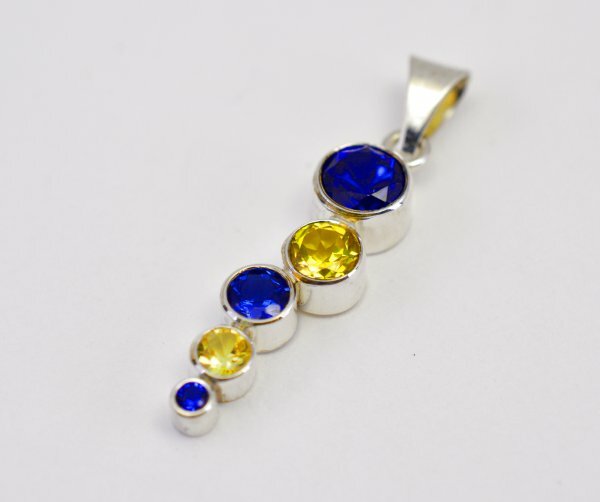 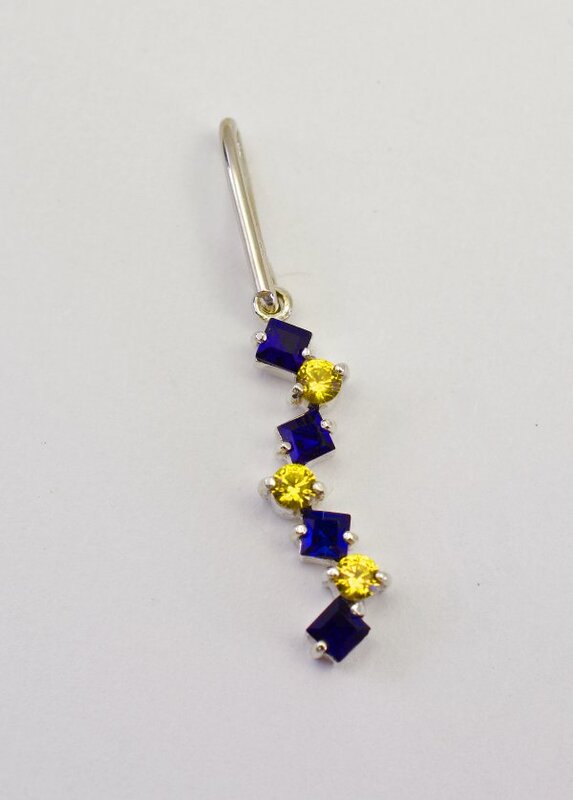 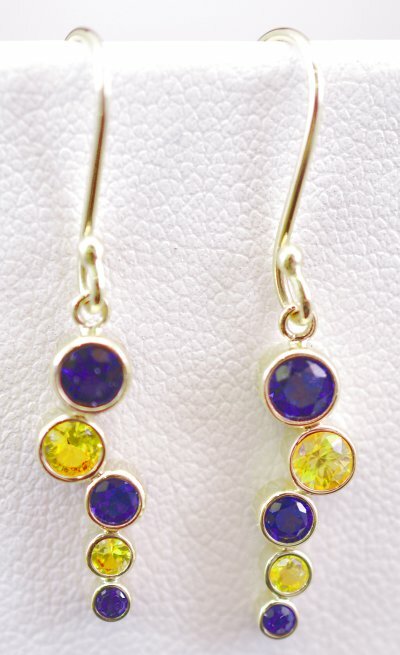 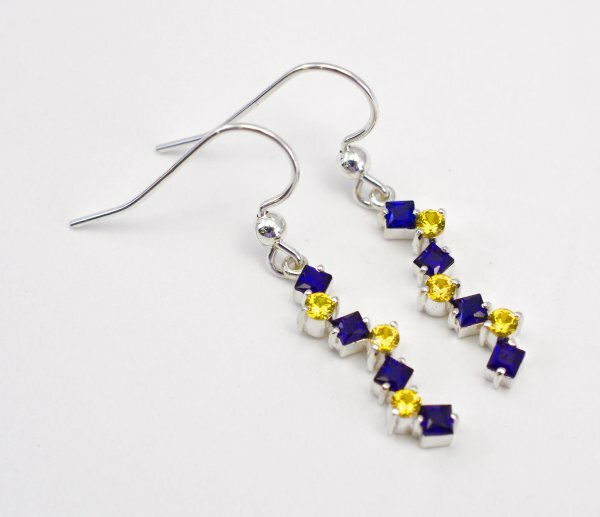 Maize & Blue Small tumbling blocks Sapphire earrings in 14k yellow gold.